NIO is currently China's only domestic luxury EV brand. The marque's ES8 SUV is pictured. Figuring that young domestic automakers can never beat global giants with traditional gasoline-engine technology, Beijing has bet on electric vehicles, which it believes provide domestic companies an opportunity to leapfrog rivals. Will the government’s wishes come true? Probably not. The future landscape of China’s EV market will more likely than not mirror the current vehicle market, with global brands dominating the upper and high end while domestic brands concentrate on the low end. It is true that domestic Chinese automakers have maintained robust EV sales growth. In the first seven months of the year, some 382,000 EVs were delivered in China, a surge of 82 percent from the same period last year. And nearly all of the volume was generated by local marques -- with BAIC, BYD, JAC, JMC, Roewe, Chery and Geely accounting for more than 70 percent of sales in the period, according to the China Passenger Car Alliance, a Shanghai consultancy. But with prices ranging from 49,800 yuan to 135,000 yuan ($7,433 to $20,149), after government subsidies, none of the seven local brands has muscled into premium EVs. The main factors driving Chinese brands’ EV sales are not brand recognition but government subsidies of up to 75,000 yuan per passenger vehicle and license plate controls in major cities such as Beijing and Shanghai, which make it difficult for residents to buy traditional vehicles. Since 2015, dozens of EV startups have sprung up across China. Will any of them be able to gain a foothold in the premium EV market? It is too early to tell -- most of the startups haven’t begun production. And among the few that have launched sales, Nio is the only one positioned as a luxury brand. 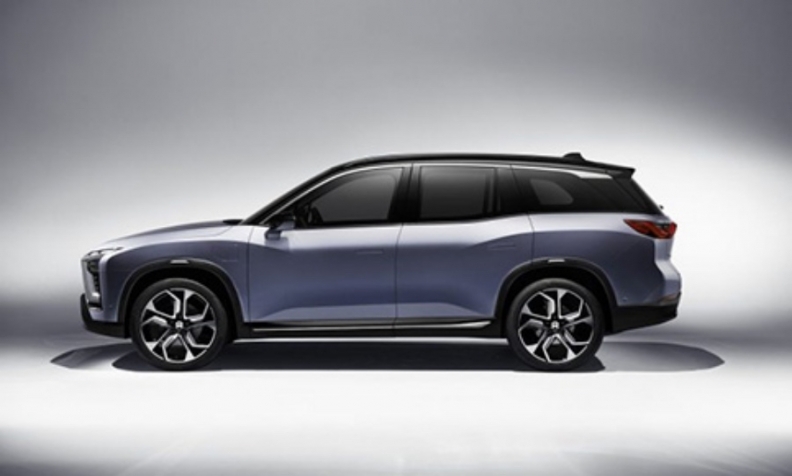 Nio’s first product, the ES8 SUV, has a starting price of 448,000 yuan. As of July, Nio has received orders for more than 17,000 ES8s, of which 481 were delivered, according to the initial public offering prospectus Nio filed with the U.S. Securities and Exchange Commission. The company seeks to issue shares on the New York Stock Exchange. But what Nio has achieved so far came at a dear price. The company, incorporated in Shanghai in late 2014, lost 10.9 billion yuan from 2016 through July. Few EV startups can afford to sustain such losses. That is true. At present, the segment has two players selling imported models -- Tesla which sells the Model S, X and 3, and BMW Group, which markets the BMW i3. But that will change in a year or two. Global luxury players including Mercedes-Benz, Audi and Jaguar Land Rover are preparing to launch all-new EVs. In the midprice segment of the EV market, Volkswagen brand will start producing and marketing EVs under the ID brand in 2020. Other international mass-market brands are also planning to roll out EV models. Global brands, supported by high brand recognition and strong technology, stand a good chance to expand their presence in the middle and high end of China’s EV market. Beijing is set to end government subsidies for EVs as well as plug-in hybrids by the end of 2020. Without the subsidies, the majority of domestic brands will have to compete on price, just as they do now in the traditional car market. In the end, the government agencies in China that drafted the EV policies will realize that there is no such thing as leapfrogging rivals when it comes to building and selling cars and light trucks, whether the products are EVs or traditional vehicles.